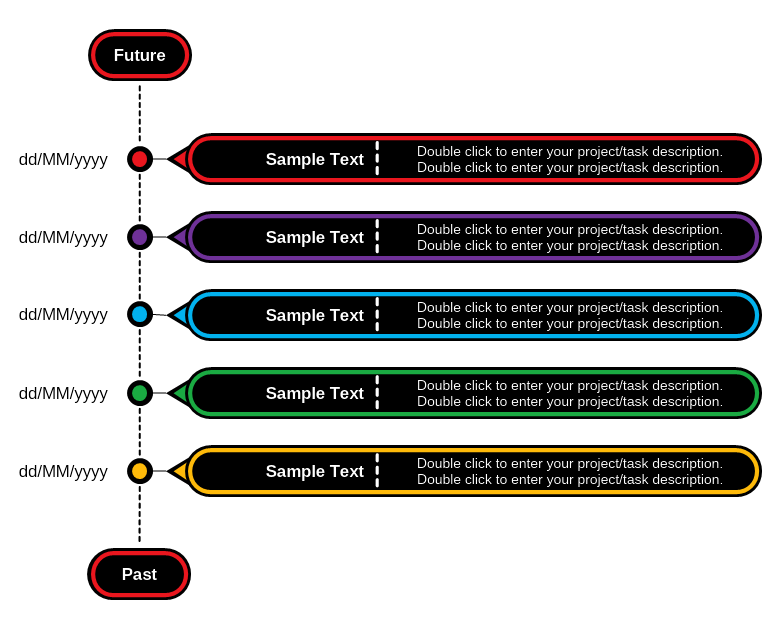 This is a free time project diagram template, allowing the visualization of events which happened in a chronological order. The main purpose of the diagram is to demonstrate a period of time with a significant beginning and ending, as well as the events that took place during this time. This template is perfect for visualizing a project and its development over time or for use in a resume (CV).